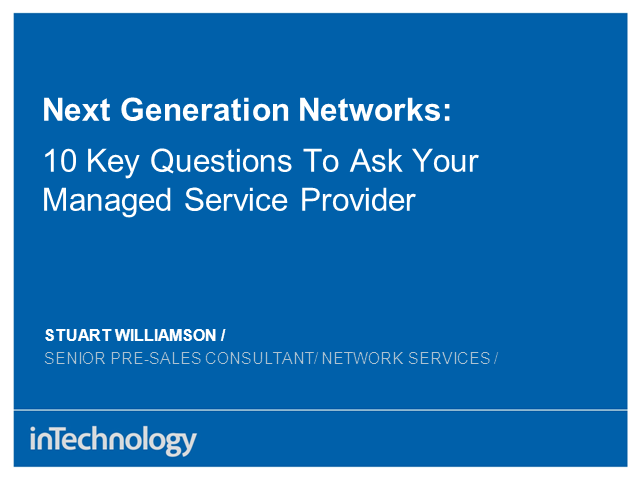 This webcast discusses the ten key questions you should ask your network provider to ensure you're getting real value for your investment. IP-based next generation networks offer significant business advantage through powerful support of high-speed Cloud-based voice, data and virtualisation services, as well as real-time collaboration tools such as video-conferencing. But to reap the benefits you need to make sure you're not getting a next generation network marred by last generation service and support.